This full size NFL Team Pennant is 12"x30", has single-sided screen printed NFL Team Helmet Logos, and is constructed of a soft felt and wool blend. Each NFL Team Pennant is Officially Licensed by the selected Teams and includes a sewn sleeve for insertion of a pennant stick, if desired. 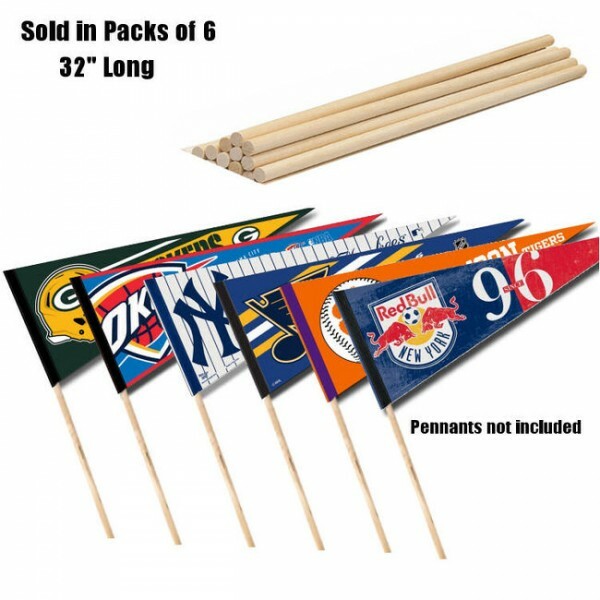 Accessorize your pennant with our Pennant Sticks, Pennant Frames, or get one of your favorite Pro League or College Conference Pennant Sets.